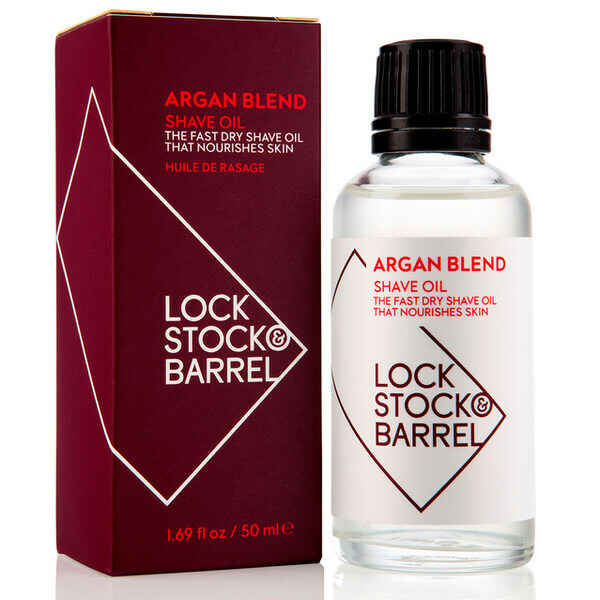 Achieve a clean, comfortable shave with the Lock Stock & Barrel Argan Blend Shave Oil; a lightweight, transparent formula that allows your razor to glide effortlessly across the face. Fortified with a nourishing blend of Starflower, Abyssinian and Argan Oil to deliver long-lasting hydration, the shaving oil softens skin and lifts hair, whilst helping to protect from cuts, nicks and burns. Expect super smooth, moisturised skin without clogging pores.